Capital Air Services was an airline that was born out of the Wellington Aero Club. This post was originally written by Bruce Gavin and it explores the aero club origins of Capital Air Services. It has been reposted as more information has come to hand. With its important position as the country’s capital city as well as being a major commercial centre Wellington has always been a very important factor in the development of New Zealand’s air services. These reasons plus the city bordering on Cook Strait and its geographical situation being approximately in the middle of New Zealand have further heightened its importance for the growth of air services. 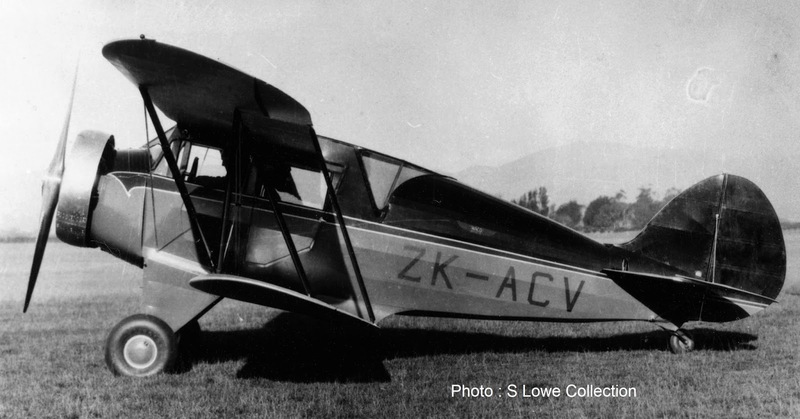 As modern cabin aircraft suitable for air taxi work became available from the early1930s the Wellington Aero Club began to cater for a growing commercial market. In addition to its fleet of basic two seat open cockpit DH.60 Moths the aero club became the owner and operator of larger air taxi and air charter aircraft during the 1930s. Prior to World War II these aircraft included at times Waco QDC ZK-ACV (c/n 3580), Waco UIC ZK-ADE (c/n 3820), Waco UIC ZK-AEL (c/n 4336) and Percival P.10 Vega Gull ZK-AFI (c/n K.63) but during the war these aircraft were impressed into the RNZAF and the aero club’s operations were suspended. After the war the Wellington Aero Club resumed operations and aircraft used for air taxi and air charter operations included Percival P.44 Proctor 5 ZK-ARP (c/n AE97) and various Austers. In 1947 the aero club obtained its first twin-engine aircraft in the form of Miles M.65 Gemini 1Bs ZK-ANT (c/n 6322) and ZK-AQO (c/n 6472). 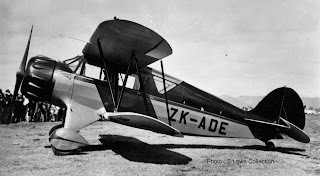 Also in 1947 the Wellington Aero Club began flying the weekly Saturday evening Sports Post newspaper from Wellington to Blenheim and Nelson-its first regular air service. If possible these flights were made on Saturday evening if sufficient daylight was available but in winter were completed on Sunday mornings. During the 1950s and 1960s more modern American built single engine Cessna aircraft including Cessna 180s ZK-BKG (c/n 30376) and ZK-BUS (c/n 30949) and Cessna 172 ZK-BWW (c/n 36894) replaced these earlier machines. It was also during the 1960s the Wellington Aero Club’s executive realised that the co-operative aero club model was not suitable for the development of an expanding commercial aviation business as it diverted committee and staff attention away from the club’s membership and potentially left aero club members liable for financial losses. For this reason in 1963 the Wellington Aero Club registered a wholly owned private company named Capital Air Services Ltd although the company remained dormant and did not become operational until 1 April 1970 when the aero club’s commercial air service licences were transferred to it. From this time on the aero club’s commercial business began to be actively promoted. In 1965 the Wellington Aero Club purchased a Piper Aztec ZK-CEU for use in its charter operations as authorised in Air Service Licence 573. The Aero Club employed Murray Turley, initially on a part time basis, to operate the Aztec under instrument flight rules in the carriage of the 'Sports Post' newspapers from Wellington to Blenheim each Saturday evening. Murray Turley was later to become Capital Air Service’s General Manager and a major influence in the development of the growth of IFR commuter air services with the development of Air Albatross. It was also during this time that the Wellington Aero Club leased six seats Cessna 205 ZK-CEZ (c/n 205-0134) in addition to their own Cessna 205 ZK-CFF (c/n 205-0412) and twin engine Cessna 310 ZK-CFG (c/n 310G-0085) was also used at times. From April 1966 Murray Turley was employed by the Aero Club on a full time contract basis to develop the IFR twin engined charter work. In 1967 Capital Air Services Ltd., became the instrument of the Wellington Aero Club in continuing the development of IFR twin engined charter flying from Wellington to Paraparaumu, and he was appointed General Manager and Chief Pilot. The Aztec, ZK-CEU, and Cessna 310, ZK-CFG, were often used to transfer patients from all over New Zealand to Dunedin where highly specialised brain surgery procedures were carried out. The Cessna 310, which had been owned originally by Fletcher's, was mostly flown by the Peter Duggan-Smith who wrote the book, "Don't tell My Mother." At the time of his final flight in Cambodia in 1974 Peter had accumulated more than 17,000 flying hours in no less than 70 types of piston-engine aircraft. Cessna 205 ZK-CEZ at Rotorua on 28 October 1964. 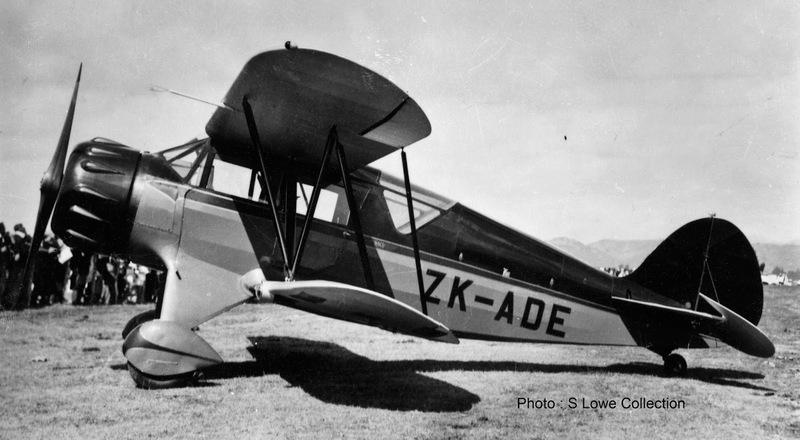 Wellington Aero Club's Piper Aztec ZK-CEU. 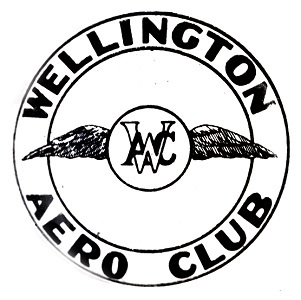 On the 1st of April 1970 the Wellington Aero Club’s commercial operations were taken over by Capital Air Services Ltd which began to operate as a wholly-owned subsidiary of the Club. The Wellington Aero Club were to return to operating a regular air service eleven years later following James Air's decision to move its base to Nelson in April 1981. The Club once again saw the opportunity for twin engined charter work from Wellington and obtained the lease of a Cessna 320 Skyknight, ZK-EGN. From the 27th of April 1981 the Aero Club commenced a Wellington-Blenheim-Nelson service for carriage of the Dominion. The Cessna 320 proved unsuitable for the work and on numerous occasions two flights had to be flown, a Wellington-Blenheim-Wellington flight followed by Wellington-Nelson-Wellington flight. As well, on many occasions freight, had to be left behind and either returned to the sender for on-forwarding by other means, or held over for carriage the next day. By mid-July the Club realised that the courier service, which operated on temporary licences, was becoming problematic and it was decided to discontinue the service. This was to lead the establishment of a new airline, Air Albatross, who took over the Wellington Aero Club Dominion service in September 1981. Cessna 320 Skyknight ZK-EGN at Hokitika while being used by Westland Flying Services in September 1979. Any chance of an article on SAFE Air and the Bristol Freighters? Seem to remember C205 CFF [?] was used as well.In the mid '60s the 'Sports Post' flights were flown on a volunteer basis by mostly NAC pilots many of whom had learnt to fly at WAC. CFG was mostly flown by the indomitable Peter Duggan-Smith and was owned by Fletcher's originally. You are right, ZK-CFF was used by the Club... I will update the post from what you have written and publish it next Sunday. Spent many a Sat night loading the Sports Post as a teenager with the prospect of a flight in the morning. Peter D-S didn't write the book - it was put together by a Canadian friend. I caught up with him in Vancouver in later life before he passed away from skin cancer. My name is Tony Duggan-Smith and I am Peter's son from before he returned to New Zealand in the '60's. Glad to see he is remembered fondly. He may not have written his book technically but without his stories it would have been pretty flat! I have been more of an artist/musician/film maker through my life but the sense of adventure is always riding high as I am sure it was with him till the end. Great to hear his name mentioned with fondness! What Level of Cancellation is Acceptable? First Black Beech visit to the West Coast?